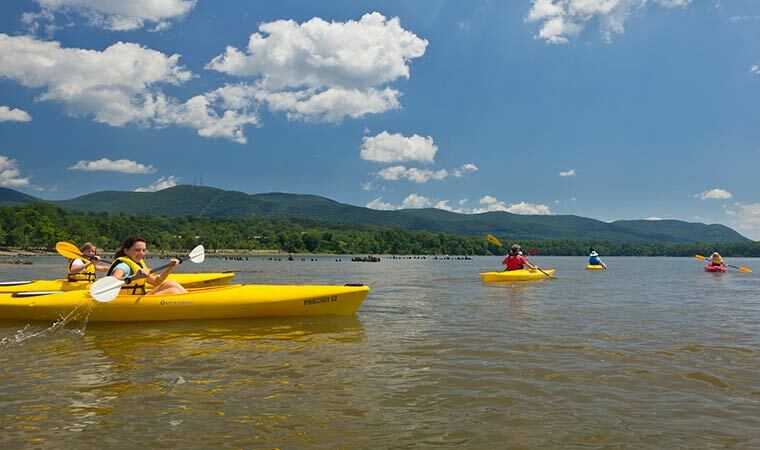 The Hudson River is offers a broad variety of opportunities for paddlers. After a family-friendly woodland hike, whet your appetite while enjoying magnificent views at a prime picnic spot on the river's edge. Whether afoot or employing paddle-power, a trip through the Hudson River's largest forested tidal swamp offers many surprises. Mine Dock Park offers a superb opportunity to connect with the Hudson River and Hudson Highlands. By transforming this industrial site into a beautiful public park, Scenic Hudson helped establish the Hudson riverfront as a central part of the Irvington community. A major player in Peekskill’s early growth, this land now enhances the city’s reputation as a destination for experiencing the Hudson River’s majesty. Created to ferry rail cars across the Hudson, this man-made peninsula now connects people to the river's power and majesty.